Need to get an Internet connection in a different room, and can’t use wi-fi? Could a HomePlug Powerline adapter be the answer. Here, we explore these devices in detail, and we also look at the down side of this technology. 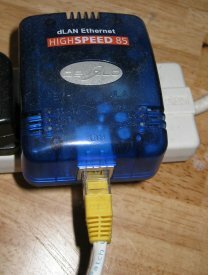 Powerline adapters, also known as HomePlugs are devices used for home networking – typically where you need to connect a gadget or box to the Internet in a room where there is no Internet. Why would you need a Powerline Adapter? Let’s assume you have your Internet router in one room, but you need Internet in another room in your home. You could use wi-fi, but there are some situations where wi-fi isn’t an option, such as the distance involved, or if your device doesn’t support wi-fi. A good example of where wi-fi doesn’t work is in your lounge, where you may want to connect your Freesat, BT Vision or games console to the Internet, or perhaps you have a webcam or printer that you want on the net. In these cases, a Powerline adapter, also known as a HomePlug, could hold the answer. How does a Powerline Adapter work? Rather than using radio waves, as with wi-fi, a Powerline adapter uses your home’s mains wiring to send data around your house. Now, where you need your Internet connection, plug the other adapter into a nearby mains socket, then use a network patch lead to plug into the target device. Once connected, you should see some kind of connection light, to indicate data is flowing. The Problem with Powerline Adapters? There is one inherent problem with Powerline adapters, and that’s that they can cause interference to short wave radio reception. HomePlug adapters are often referred to as PLT (Power Line Telecommunication) devices, and shortwave radio enthusiasts claim that they can effectively turns your home into a low-powered transmitter, as your home’s mains cabling radiates a low-power “noise” in the band used by short wave radio (2Mhz to 30Mhz). If you’re using a Powerline adapter and you have a radio amateur living two or three doors away, you may be broadcasting noise on a frequency he’s using for his hobby. The interference can radiate out around 100 metres. There’s also evidence that Powerline adapters can cause interference to FM and DAB radio reception. Shortwave is also used by some long-range aircraft and shipping, and many still use SW radio to listen to broadcasts from other countries, sometimes using a radio system called Digital Radio Mondiale (DRM), which is in use in parts of Europe, notably Germany. Interview: We spoke to the chairman of an Essex-based Amateur Radio group in 2010, to find out how this problem is affecting radio hams. Yes, absolutely, according to current UK law (at the time of recording). Manufacturers have to conform to the Electromagnetic Compatibility Regulations 2006, and a company can be prevented from selling these if they do not comply. The consensus from radio enthusiasts and radio hams is that the technology is pushing ahead through corporate pressure, and that the regulators aren’t doing enough to control what’s seen as abuse of the radio spectrum. If you’re affected by interference from Powerline / HomePlug adapters, you can report your problem to Ofcom on 0300 123 3333. For more on the campaign to outlaw Powerline adapters, visit UKQRM Fighting For Shortwave Radio. There’s also a Save Shortwave Petition. Got a comment? Want to have your say? Please use our Powerline Interference thread in our forum. 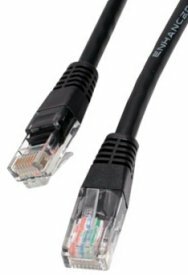 Run cables – You can buy CAT5 networking cables in lengths up to 50 metres from Maplin.co.uk and run a cable from your router to your target device, or cable up two Ethernet wall sockets using CAT5 cable to get an extension socket where you need it. In most cases, HomePlugs will work on a electrical circuits that share the same electricity meter. If you have a three-phase power supply (which is not that common for residential properties), Powerline adapters will only work on the same phase. Yes – that’s not a problem. A one-sender, multiple-receiver option is supported using Powerline adapters, although the more devices you have active, the slower the overall network speed. We’d also recommend using the Powerline adapters from the same manufacturer. Some manufacturers even sell kits of multiple devices. At the time of writing, PC World is selling a Devolo 3 pack (pictured) that might service your needs. In most cases, yes, flights of stairs aren’t an issue. Provided the transmitter and receiver go through the same fusebox and electricity meter, you should be able to use a powerline adapter. Powerline adapters have a limited range, and only transmit on a single mains phase. Neighbouring properties are often on a different phase. If security is a concern, note that HomePlug adapters use 56bit AES encryption technology and are ‘paired’. Q. Overhead Supply? I have recently bought 3 power line adaptors. I can only get 1 “slave unit ” to work if its plugged into the mains socket alongside the “master” unit. Elsewhere on the same ring main or on the next floor, no luck. Does the fact that my house’s power is fed by overhead line have any affect? Whether your home’s mains supply is delivered overhead or underground should have no effect on a Powerline Adapter. A ‘Firewall’ is used to prevent unauthorised access to your network or to a computer. A firewall can be hardware (e.g. Built-in to your Broadband router) or software (e.g. Firewall software such as McAfee Internet Security, Norton 360 or ZoneAlarm). If you’re looking to connect a device such as a computer to the Internet using a pair of Powerline adapters, then we’d recommend that you protect yourself with a firewall. 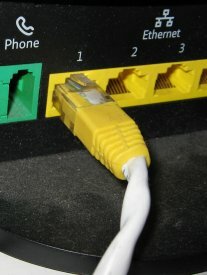 Ideally, your Broadband connection should be secured with a hardware firewall (this may be built-in to your router), and each computer should have up-to-date firewall software installed – regardless of whether it’s connected to the router by a cable, a wi-fi adapter or a set of Powerline adapters. As for security of HomePlugs, the link between two Powerline adapters uses encryption technology, so has a level of protection. See the FAQ on Powerline Security. As far as I understand how it works, connecting two HomePlugs across circuits on different meters shouldn’t work, and can’t be bridged. Assuming you have two units already, it might be worth an experiment – can you give it a try and see if it works? well I’m a gamer and my console receives very poor internet connections via wifi (ethernet cable doesn’t do much difference) so this immensely affects my gaming experience online, is a powerline a good option to get to help me out? Ethernet is the best option, so if that is poor as well then adapters wont make it quicker. Sounds like it is more the level of broadband you have (low speed). Think about upgrading your broadband (if it is available in your area). Can I use a power line adapter to plug a cordless phone in so I can have telephone in my garden office? I have an installation that gives two signals: one for TV, one for Internet. I already have the tv signal running trough the powernet. Can I also put the internet trough in the same way? Or will that interfere in any way?